The 2018 LGCT Miami Beach Official Poster can be revealed today as the countdown to the second leg of the Championship continues. 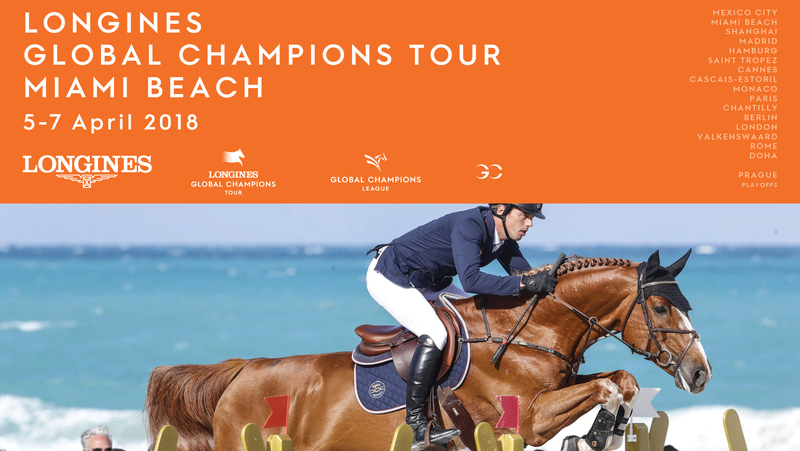 Set on the glittering shores of the Atlantic Ocean, the Miami Beach event is one of the most spectacular destinations in show jumping, and for the fourth year running the world's top horses and riders will battle for supremecy against this breathtaking backdrop. The official poster for the event can be revealed today, with exactly a week to go until the action kicks off on the sands of Miami Beach. There will be free entrace to the public and three days full of top sport and entertainment. For the full schedule and more information, please click here.